It is now Christmas Eve and tomorrow is obviously a very big day for CCA and indeed all Catholics and other Christians throughout the world. I would like to wish all CCA Members and supporters a very safe, peaceful and happy Christmas Day for tomorrow. CCA has been working for the past 18 months preparing for the above and we have had various articles and comments in our magazine “The ARK”. Our priority is and has always been that policy makers, academic, media amd others realise that not only is tackling man-made Climate Change an imperative but also that it must be focused on all creation and not just human based. Climate change affects all of God’s creation and when the issues are discussed and decisions made, the resulting effects on all animals need to be considered and factored into debates. Catholics have taken the lead in this area with the wonderful publication by His Holiness, Pope Francis, earlier this year and now the UN Summit has arrived and begins in Paris this weekend. We endorse and support the call by Cardinal Turkson for Catholics (photo above) to take part in the the marches taking place across the globe tomorrow Sunday 29th November and urge all CCA Members and supporters to do so. I will be travelling to Paris tomorrow to represent CCA at events surrounding COP 21 and will report in future blogs on how things are going with the UN Summit. 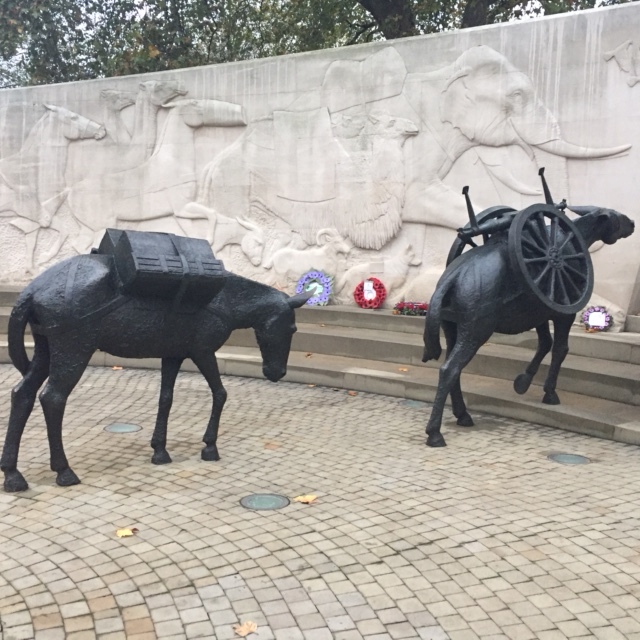 The Annual Remembrance service for animals that were involved in wars was held at the Animals in War Memorial on Park Lane, London on the afternoon of Sunday 8th November 2015. The service was, as usual, organised and ran by our sister organisation Anglican Society for the Welfare of Animals (ASWA) and I was very pleased and honoured that CCA were once again asked to play a formal role at the service with our Anglican brothers and sisters. The service was very well attended and I gave a reading from Scripture whilst our Treasurer, Pat Chalk gave a very moving reading about Bing( Brian) the paratrooper Alsatian/Collie and our Membership Secretary, Frances Chalk laid our wreath of Purple poppies on behalf of the Catholic Church, CCA and its members and supporters. I am writing this short blog whilst travelling by train to the Green Christian Conference in Bristol. It is a busy time for important Conferences with The Tablet’s 175th Anniversary Conference in Durham having taken place earlier in the week from Monday to Wednesday. These two conferences are very important to CCA and indeed at The Tablet event we presented a short paper on Animal Welfare issues by our Theological Adviser, Dr Deborah Jones and the CCA connection was also re-inforced by the attendance of our President, Archbishop McMahon who as well as attending the Conference presided over one of the communal religious services for the Conference delegates and guests. I am looking forward to the Green Christian event today to meet old friends, hopefully make new ones and crucially highlight Animal Welfare issues and the importance of Pope Francis Encyclical letter,Laudato Si to the Conference and keep it uppermost in peoples minds when they discuss and think deeply about environmental and other issues. A full review of both Conferences will appear in a future edition of the ARK. 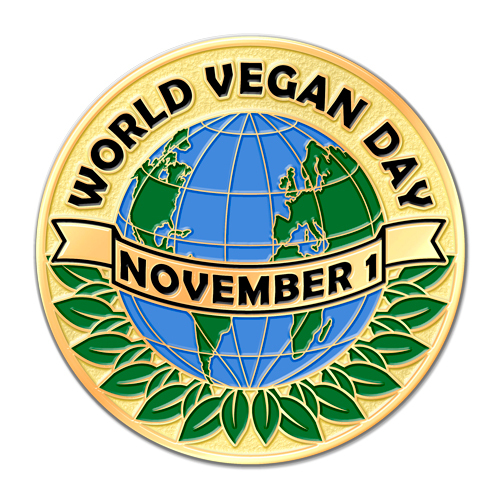 I would like to send a message of congratulation and support for World Vegan Day today and World Vegan month which also starts today to all CCA Members and supporters, vegans and vegetarians and all people who care for the welfare of all our sentient animals throughout the world. CCA is totally committed to the removal of animal cruelty and the industry behind the mass production of meat for human consumption is one of the worst offenders in this regard. Veganism and vegetarianism are the best dietary choices for animal welfare and indeed according to a lot of medical experts for better human health. 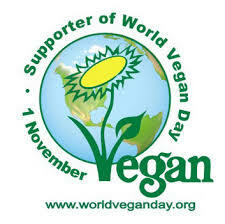 Today is a day of celebration for all those who have chosen this enlightened lifestyle across the globe. 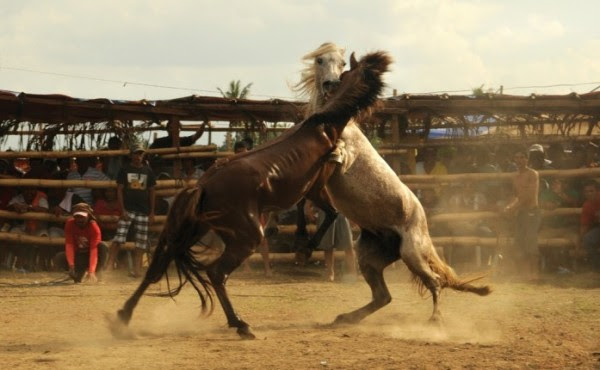 Network For Animals need your help to end the brutal bloodsport of Organized Horse Fighting in the southern Philippines. The sound of cheering reverberates through the arena, from a crowd made up of gamblers, elected officials, gangsters, families, even small children. In each fight two beautiful stallions are made to fight brutally over a poor mare, paraded in front of them as their ‘prize’. Over a weekend fiesta of horse fighting, tens, even hundreds of horses are violently wounded, while the mares are subjected to repeated mounting by the ‘victor’ of each bout. Network for Animals are battling a cruelty that is illegal, yet ingrained in southern Filipino society, and taking a stand means moving against organised crime in an area where gun carrying is the norm, not the exception. We have been victorious in Bukidnon, North Cotabato and Davos City. Use your voice today, to help us urge the Philippine president to end Organized Horse Fighting. The Catholic Concern for Animals AGM was held on Saturday 18th October at Brompton Oratory in London. The meeting was preceded by a fascinating talk by CCA’s Scientific Adviser, Dr Richard Ryder which covered many aspects of animal welfare issues but was especially interesting on the subject of meat as a possible addiction for humans and that he believed that scientific research in the area was long overdue and had been neglected. The members in attendance were very interested in Dr Ryder’s hypothesis and agreed that it was an issue well worthy of further investigation and academic research. Dr Ryder’s talk generated a fascinating discussion and question and answer session for our assembled membership who were energised and invigorated by the talk and discussion points. Dr Ryder’s long and distinguished history and outstanding record in the field of animal welfare needs no introduction from me and the members who attended the AGM were absolutely thrilled to here from such a distinguished guest speaker. 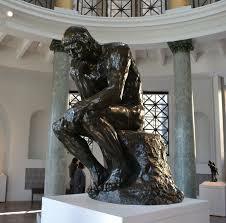 To see Dr Ryder’s full talk and documents from the AGM click here..